Obviously, the biggest news from yesterday was that Katy Perry now has more Twitter followers than any other human alive. By a big margin. Her insightful wisdom – the reasons why so many people hang on her every word – can be seen in the most recent Tweet she sent. The magnitude of the FBI Director’s statements yesterday necessitated a detour from continuing through the next couple of Sound Bites. David’s experience as a prosecutor and years of being on both sides of numerous criminal/civil cases provide a breadth of knowledge and experience about the law that was invaluable in informing our discussion. His response to the news: he physically felt SICK when he realized what was going on. Overall opinion: she clearly committed numerous violations of the law and the decision to NOT prosecute was utterly absurd. Becket and I devoted much of our time today to the non-prosecution of Bill’s ol’ lady, as well. As a media reporter for the Washington Examiner, we focused on the reaction to the news within the media itself. Becket is one of my FAVORITE writers and commentators on the political scene; he’s also a MUST FOLLOW on Twitter (@BecketAdams). 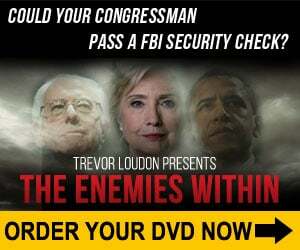 Be the first to comment on "7.6 – ‘Extremely Careless,’ David Shestokas, and T Becket Adams"